Red Gum Riding typically caters for children and less experienced adult riders who wish to receive introductory training in basic horsemanship. Depending on the level of the rider, services also include lead line rides for children not capable of controlling a horse. We also wish to share the healing power of horses with those children suffering from developmental difficulties or minor disabilities. All lessons are conducted in a 60mx20m purpose-built horse arena to ensure your safety. Lessons are private lessons ranging from 30 min to 1 hour depending on your level of experience. (your bum generally won't handle more!). These lessons cater for those that are beginner riders to those that are more experienced. If you are an experienced rider that has forgotten how to ride or you are a beginner rider that just wants to learn the basics of riding, then this English style of riding is for you. Lessons start with basic horse care and grooming techniques and include correct saddling and tack fitting before commencing the riding lesson. For those children that are timid around horses, additional time will be spent familiarising them to the animal and allowing them to gain confidence in and around horses. No group lessons are provided as we feel it imperative that total focus must be provided between rider and instructor without any distraction. Please note that we have a 90kg weight restriction on our riders. Unfortunately, if you weigh more than 90kg we will be unable to offer you horse riding lessons. This restriction is imposed to ensure we protect our horses. We trust that you will understand. 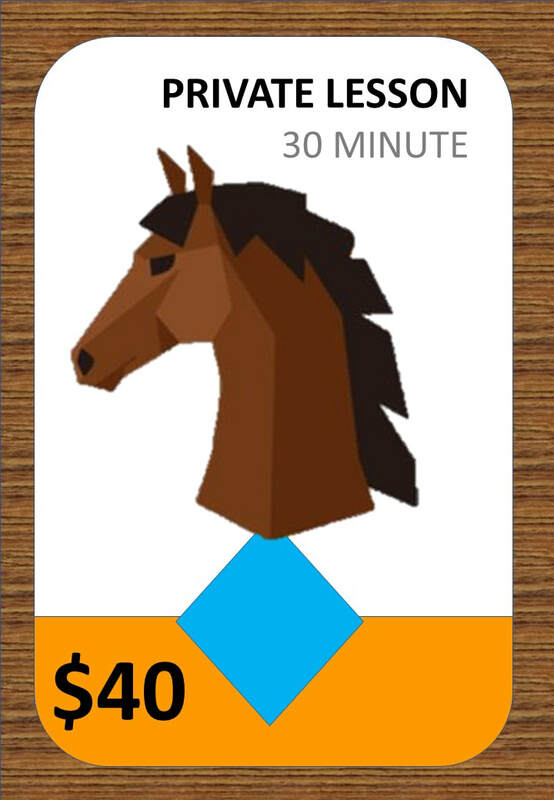 A 30-minute lesson is a great way to trial our Red Gum Riding offering. Your lesson will include 10min of tack preparation and 20min of riding. A short horse cool down period will be included in the 20min riding, depending on the intensity of the lesson. Before you book for your amazing experience please fill the visitor and student induction form out and bring it with you on the day. The one hour lessons cater for those that are beginner riders to those that are more experienced. If you are an experienced rider that has forgotten how to ride or you are a beginner rider that just wants to learn the basics of riding then this English style of riding is for you. This is the best lesson to start refining basic horsemanship skills. A typical 1 hour lesson includes 15 min of horse grooming and tack preparation, 40min of actual riding and 5 min cool-down. 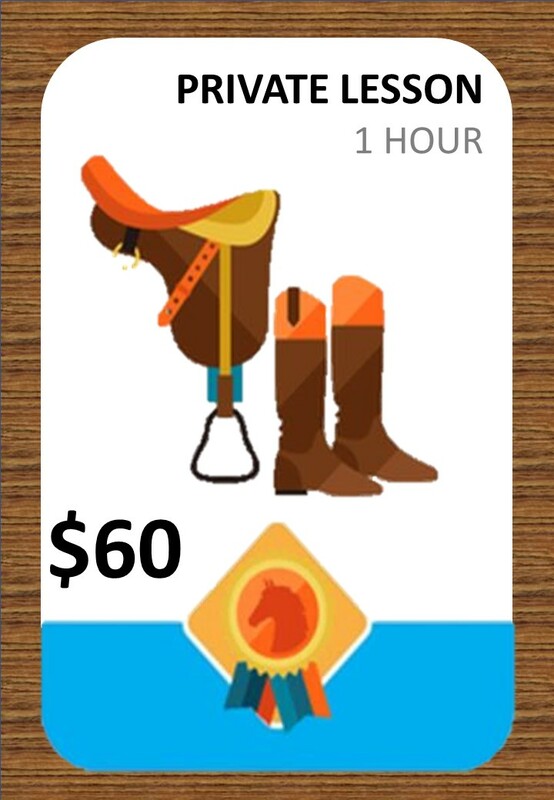 Payment can be made here online, or to Red Gum Riding before your lesson. As safety, both yours, the instructors and the horses, is of paramount importance, we will ask you to attend your first riding lesson 15 minutes early. During this introduction, we will walk you through basic horse safety, show you how to behave around horses and discuss some of the rules on the property that need to be followed to ensure that we all have a rewarding and productive time. ﻿BASIC PROPERTY RULES CAN BE VIEWED HERE﻿. While we endeavor to do everything possible to ensure your safety, horse riding is inherently risky, and as such you will be asked to complete a risk waiver form in the unlikely event of an injury occurring. Red Gum Riding is fully insured, but in order to satisfy our insurer we will require you to adhere to any instruction given and the rules of the property. Failure to comply with instructions or the rules of the property will result in the lesson being terminated and you will be asked to leave the facility. We provide all our students with the flexibility to book and manage their own bookings. While this is convenient for our students, it is imperative that once a student makes a booking, they are expected to honour that booking. A simple 'no show' on the day will result in forfeiting your payment. In the event that you haven't paid for the lesson, you will be expected to pay for the missed lesson, in addition to the new booking. This payment can be made either by direct deposit or PayPal. Simply not showing up for the lesson is not an option. We do understand that sometimes life happens and emergencies do arise. We will never be unreasonable. If you wish to cancel or move your lesson up to 24 hours prior to arriving, please do so online or contact us. No penalty will result and if pre-payed, a full refund can be arranged. 24 hours notice allows us to fill that time slot with students from our waiting list. However, cancellations within 24 hours of the lesson will require payment for that lesson as it does not allow us enough time to fill that spot. This is considered fair to our waiting students and the sustainability of our business. We trust that you will understand this position.